I think it’s terrible of how much food we throw away because in some countries there are people that are starving and some people don’t care they just throw away there food anyways. I think this is really bad how much food we waste and we need to ether eat it or put it some where well we well eat it latter and not waste it because there are a lot of people out there that don’t get to eat that food that we get so it is rude to waste it. so next time be for we waste food maybe we should think other people would love to have the food we get. Personally i think this is just nasty. Its just nasty how you take it out of the garbage can. It a good idea that he is saving good food from the dumpster.And he shows that people don’t see what their doing. He proving a point that people sould not watse good food.He saids don’t watse food donate it.And people cannot be wastefull of good food. This amazes me, how much food we waste is ridiculous. If we buy food we should eat it and not waste it, we need to count our blessings because there are some people in other countries who are staving like africa and haiti. I am appalled at all the still good food people are wasting. This food could go to so many less fortunate people and yet its going to the trash instead. It makes me wonder what was going through those people’s heads when they threw it away. I think more people around the world should check the local dumpsters and find any good food left and give it to the less fortunate. People need to care to not waste food. Wasting food is terrible. Instead of wasting food, why not donate to the homeless? Buy what you can eat. Don’t waste food! 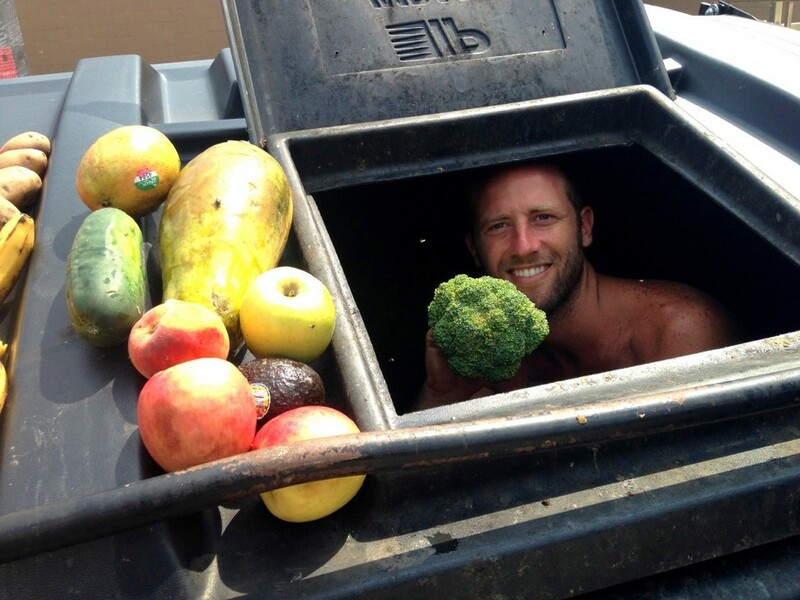 Though i feel it is a little ridiculous to go diving in dumpsters for wasted food, I do believe he made a good point in showing us how much food we do waste that could be salvaged. This certainly goes to show us how much food we take for granted and that we should put our food to good use instead of throwing it away. This article to me explains how we are actually spend more money wasting food then we do buying food. Food that we purchase needs to be consumed, not disposed. If we cannot consume food that we have bought, we should donate that food to families who are less fortunate and homeless people. There are better alternatives of getting rid of food than throwing it away. There are kids in our society who barely eat a real meal. Overall, throwing away food into landfills hurts our economy more and those foods can be used to feed those who cannot afford food. This an awful thing to realize, just how much food is wasted. America is fat and obnoxious for it’s behaviors. We must start taking what we need more than excess foods. ← Portion Control Plates: Would This Work For You?